Pain, bleeding disorders and pelvic organ prolapse are some of the gynecologic problems seen more often in EDS/HSD. Obstetric concerns include premature delivery and slow wound healing. 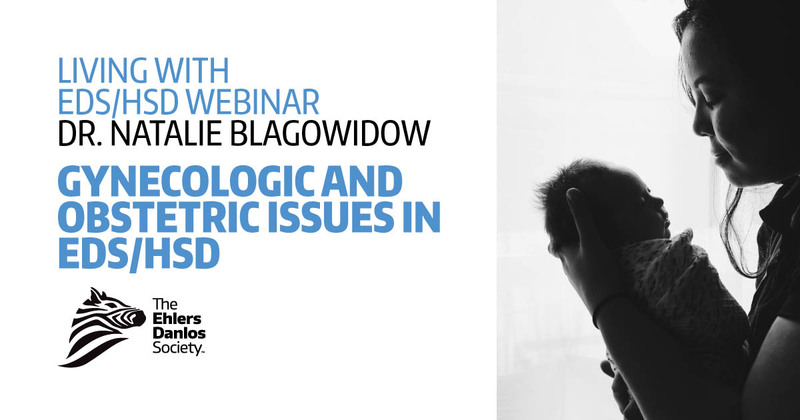 Management of these and other gynecologic and obstetric matters will be discussed, as well as issues relevant to several of the rare subtypes of EDS. The Ehlers-Danlos syndromes comprise a clinically and genetically heterogeneous group of heritable connective tissue disorders, which are characterized by joint hypermobility, skin hyperextensibility, and tissue friability. The 2017 International EDS Classification recognizes 13 EDS subtypes, for which defects have been identified in 19 different genes that code for extracellular matrix proteins. Some of these conditions are very rare; these are usually very complex and multisystemic conditions. 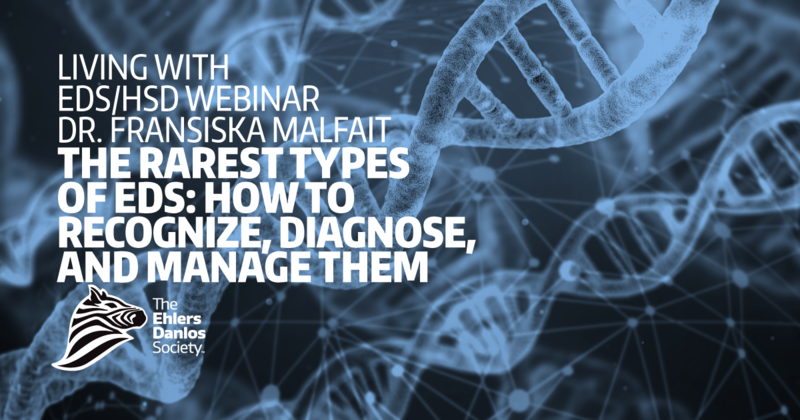 During this webinar, the clinical presentation and (molecular) diagnosis of these rarest EDS subtypes will be discussed and illustrated, and management tips will be discussed. Many individuals with EDS/HSD live with debilitating fatigue. Dr. Pocincki will present an overview of many of the common factors contributing to fatigue in people with EDS/HSD, and how best to assess and test. He will also provide an overall approach to treatment, and discuss specific details for the treatment of many common causes of fatigue. The Ehlers-Danlos Society is hugely excited to announce the launch of EDS ECHO in the Spring this year. Join us as we introduce the goals and aims of Project ECHO, how it will work, and how you can get involved in this transformative movement to advance EDS/HSD patient care. Project ECHO is a collaborative model of medical education and care management that empowers clinicians everywhere to deliver better care to more people, where they live. Through regular Telemedicine sessions the ECHO model™ dramatically increases access to specialty advice and learning opportunities providing clinicians with the support they need to manage their patients. Available for free to any clinician who wishes to join sessions from anywhere in the world, EDS ECHO will launch on the East Coast USA and the UK first, expanding over time to provide multiple expert hubs internationally. The slides used are available through http://bit.ly/2T5LDuq. Learn about how the circulatory system responds to upright posture in EDS, and how circulatory problems like hypotension, recurrent fainting, and rapid heart rate can influence the severity of symptoms (especially fatigue, lightheadedness, headaches, and cognitive fogginess) in EDS. 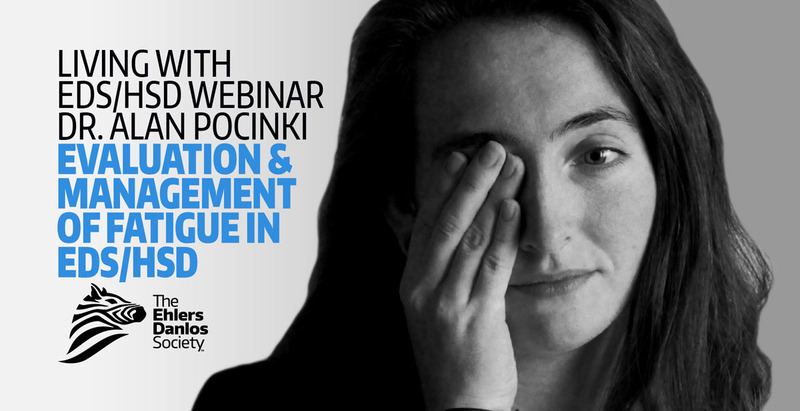 This webinar will discuss how to manage these problems with diet, postural maneuvers, and medications. The slides used are available here in PDF. 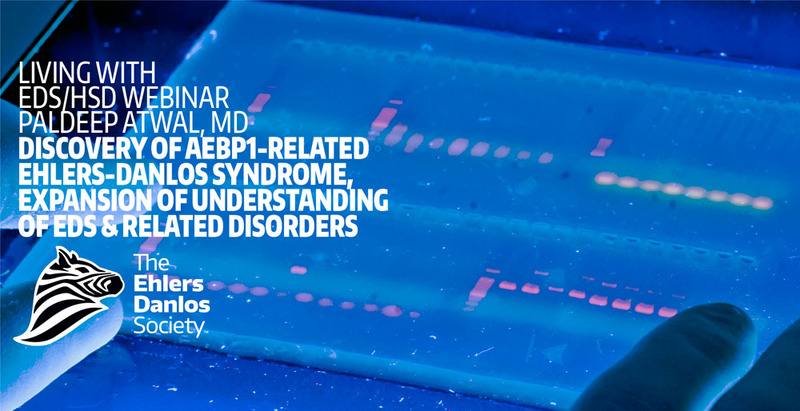 Discover a new form of Ehlers-Danlos syndrome and discuss the implications this has for hereditary disorders of connective tissue disorders, including discussion about the AEBP1 gene, its role in connective tissue, and some interesting potential therapies being examined. Notable points of the AEBP1-related form of Ehlers-Danlos are discussed. EDS and HSD Support Groups are great resources for learning who is best to see for care, asking questions, and arranging rides or other help. Shani talks about what support groups are like, where you can find support groups, and how to start a support group if you do not have one near you. In a world that often does not understand us, an EDS and HSD Support Group is the perfect way to make friends who really get it. 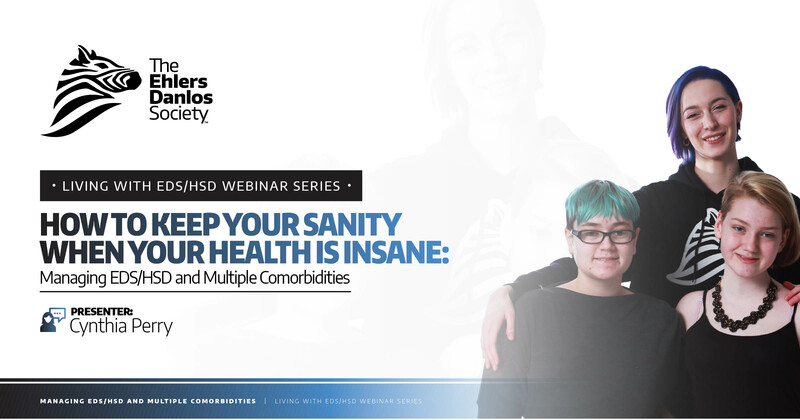 Dr. Clair Francomano (Director of The Ehlers-Danlos Society Center for Clinical Care and Research at the Harvey Institute of Human Genetics, Greater Baltimore Medical Center) discusses all aspects of managing Ehlers-Danlos syndromes, including pain control and comorbidities such as dysautonomia and mast cell activation syndrome. This was a live broadcast of a presentation hosted by the Greater Baltimore Medical Center. Please be aware this was a live-stream only; questions were not be taken from our online viewers. When captioning is finished, the webinar will be available here. 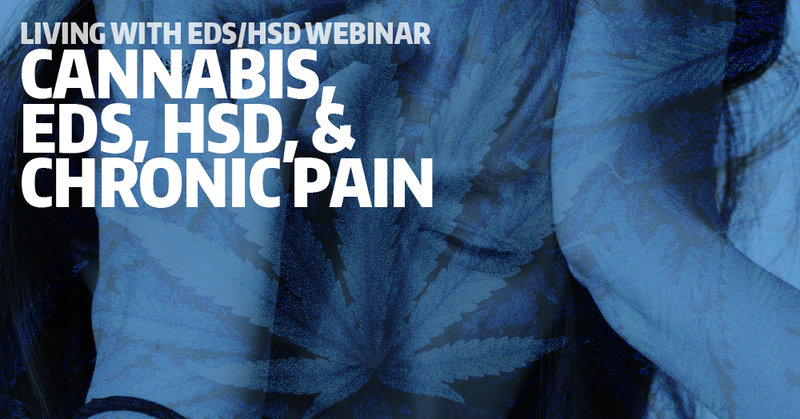 This seminar reviews vascular issues that may arise in EDS and HSD. Special emphasis is placed on when to seek minimally invasive vascular intervention. 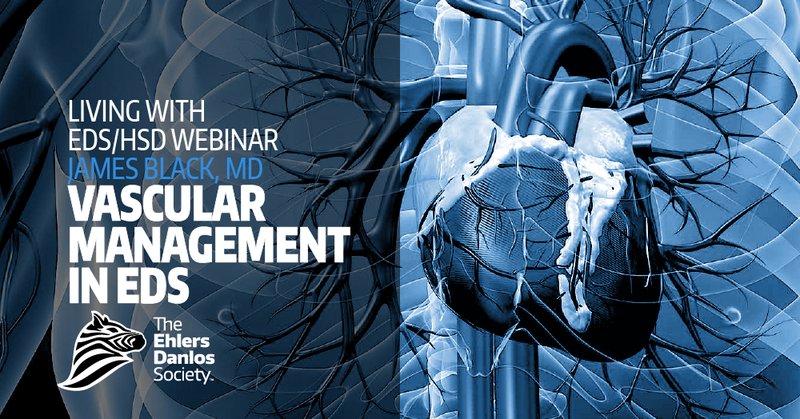 This webinar covers all types of EDS with a focus on vascular type. Skin changes are common across many of the EDS subtypes. Early recognition is essential for diagnosis and management. 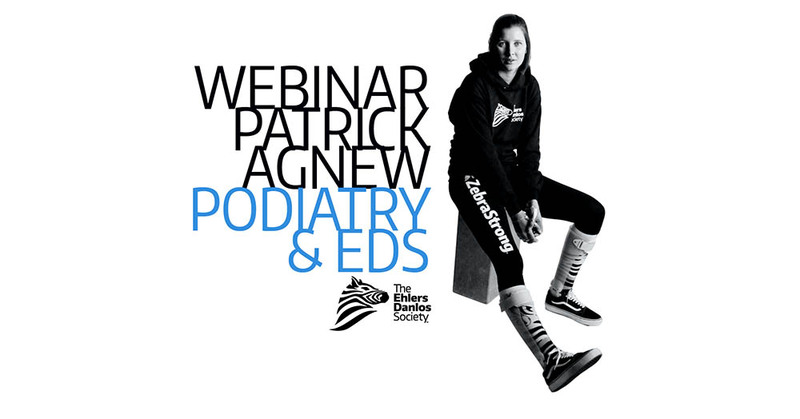 In this webinar, the different skin problems that can arise in EDS are illustrated, as well as the mechanisms behind some of these changes. It is important to be aware of the risks, for example, of poor wound healing following surgery. 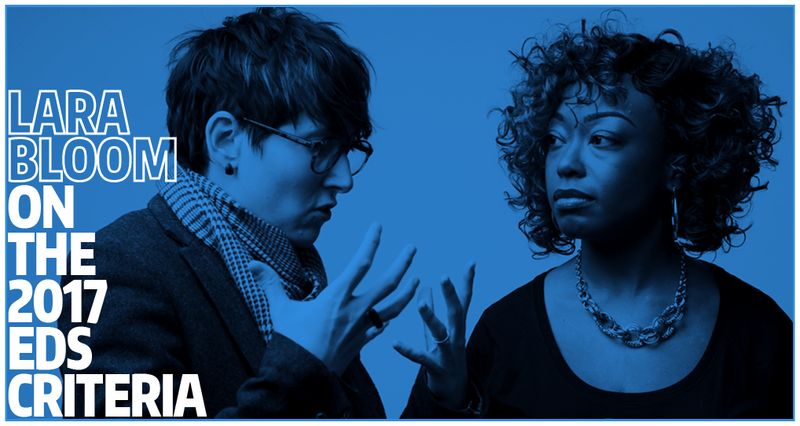 This and other management tips relating to the skin are discussed. The presentation discussed the causes of pain in EDS and how conditions such as POTS, MCAS, gastrointestinal and neurological systems play into it., as well as the principles behind physiotherapy, and the pros and cons of different medications. 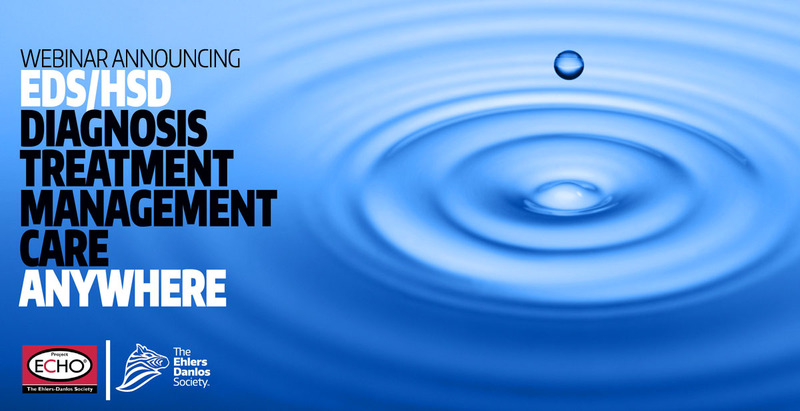 This webinar offers practical suggestions. Please note this was a two-hour webinar. The slides used can be viewed in PDF form by clicking here. EDS is often associated with long-term pain and fatigue but also with complex health problems. Since these symptoms lack often objective physical signs, people with EDS are sometimes referred for psychiatric evaluation. When medical exams give negative results, doctor-patient relationship can deteriorate because many with EDS will rightly refuse to consider a psychological attribution for their symptoms. But anxiety and depressive disorders often coexist with EDS. Identifying anxiety and depression is very important because they are often hidden, and untreated they reduce our quality of life and result in poor medical treatment outcomes. Patrick Agnew is a board certified podiatric physician and foot and ankle surgeon practicing in Virginia Beach. He has been studying people with collagen disorders for 3 decades. He has authored numerous publications in the field and developed new approaches to foot and ankle problems associated with these disorders. In this webinar, he discusses his current approaches. Welcome to the world of EDS and HSD. While this new diagnosis may seem daunting, know that you are joining a wonderfully supportive community, and together, we can survive and thrive. 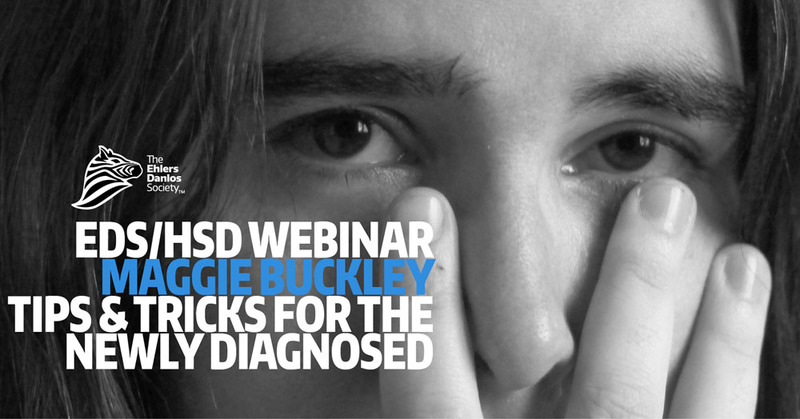 In this webinar, Patient Advocate Maggie Buckley will walk you through the basics of navigating EDS and HSD. Learn about finding the right healthcare, managing self-care, how to live life, and where to go from here. Best known for its role in allergy and anaphylaxis, little is taught to medical professionals about the action of mast cells in the security of our borders, immune defense, and wound healing. This lack of knowledge has led to delayed diagnosis or misdiagnosis, and a much longer road to wellness. 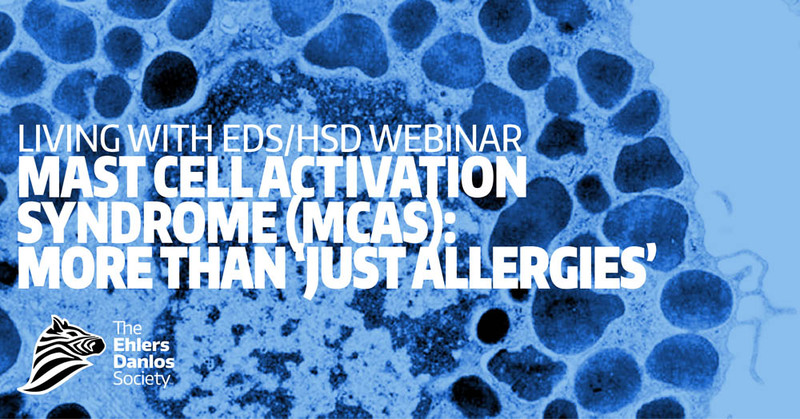 I will talk about the good, the bad and the ugly of mast cell action. With a better understanding of mast cell activation (MCA) and mast cell activation syndrome (MCAS), hopefully, you will gain fresh insights to what may be causing your symptoms and empower you to try again, with a “willing and able” medical-professional co-pilot, to secure the best working diagnosis and tailor a therapeutic plan to get better. Professor Aziz will describe the common gut problems associated with hEDS and discuss management. In addition, he will explore the link between GI involvement in hEDS with PoTS and mast cell activation disorder. Professor Aziz is the Gastrointestinal Working Group Chair on the International Consortium on Ehlers-Danlos and Related Disorders and a member of the Ehlers-Danlos Society’s Medical and Scientific Board. 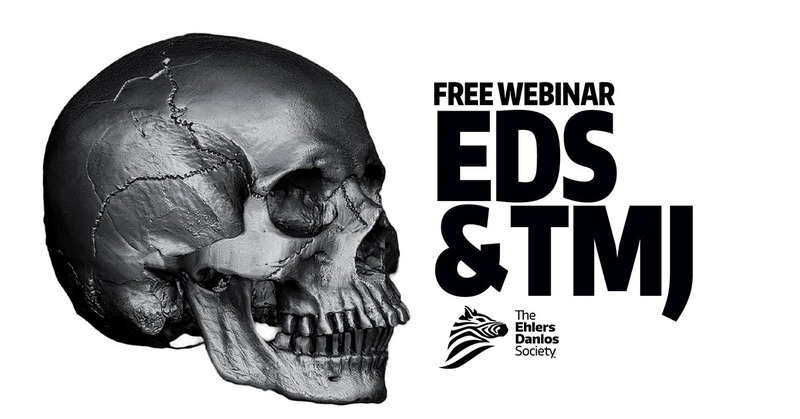 Join Dr. John Mitakides, DDS, DAACP for a discussion on the diagnosis and treatment of temporomandibular joint (TMJ) disorders in the EDS and HSD populations. He also discussed cervical cranial instability (CCI) and cervical myofacial pain syndrome (CMPS) in EDS and HSD. Dr. Mitakides is a member of the Oral and Mandibular Manifestations Working Group of the International Consortium on Ehlers-Danlos and Related Disorders. 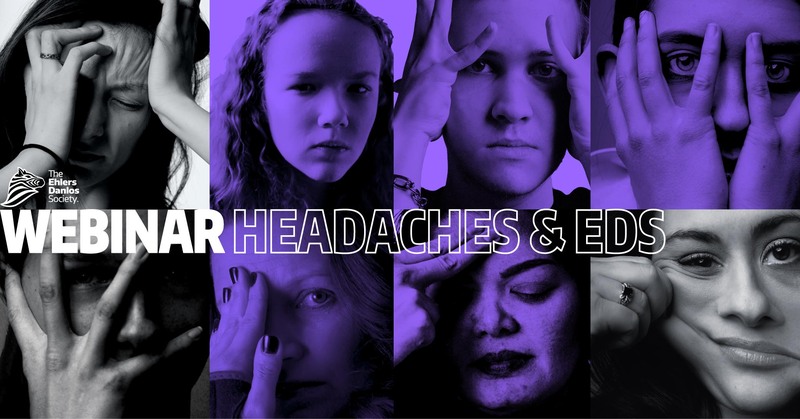 Dr. Henderson discussed a broad differential diagnosis of headaches in the EDS population that requires consideration and directed studies. Diagnosis of headache in the patient with Ehlers-Danlos syndromes requires consideration of ligamentous instability of the craniocervical Junction and spine and ligamentous instability of the temporomandibular joint. One should also consider cerebrospinal fluid flow through the base of the skull, increased or decreased intracerebral pressure, obstruction or attenuation of arterial or venous blood flow into and out of the brain, and a number of inflammatory disorders which may affect the brain. Anomalies of the brainstem, skull base and spine should also be considered. Finally one must consider migraine, muscle spasms, and the various neuralgias, as well as ocular and dental issues, and problems such as intracranial hematoma and tumor. Many of us coping with EDS find that we are very drug sensitive and can get lost finding a medication that will successfully address our issue of pain. Unfortunately, society has taught us to believe that cannabis is only a social drug that will get us “high”. Learn through this webinar how the use of cannabis can offer calm and peace to your body and help you to improve the quality of your life, including sleep. Ellen Lenox Smith will address topics such as: How you can receive the calming benefits without the high, the different ways to administer the medication, how to select a strain, what the difference is from CBD to THC, how to find out where your state stands legally, and even how to advocate in your state to help either work on establishing law to allow the medical use or to improve your state law that exists. Ellen, who copes with both Ehlers-Danlos syndrome and sarcoidosis, lives in RI and has been a cannabis user and grower since 2007. She advocates across the country for its use. She and her husband are co-directors for cannabis advocacy for the US Pain Foundation. A transcript of the webinar is available here. Our international executive director discusses the past, the present, and the future in the world of EDS and related disorders. She explores the hopes and fears patients have faced since the publication of the 2017 criteria and the work that is being done to continually improve awareness and acceptance of these conditions. While every experience of being hypermobile or having EDS is unique to the individual, there are symptoms that many people can relate to and recognise: chronic pain, joint instability, lack of fine motor control, subluxations/dislocations, stiffness and yet flexibility, headaches, flat feet, impaired proprioception and body awareness. These are just a few. 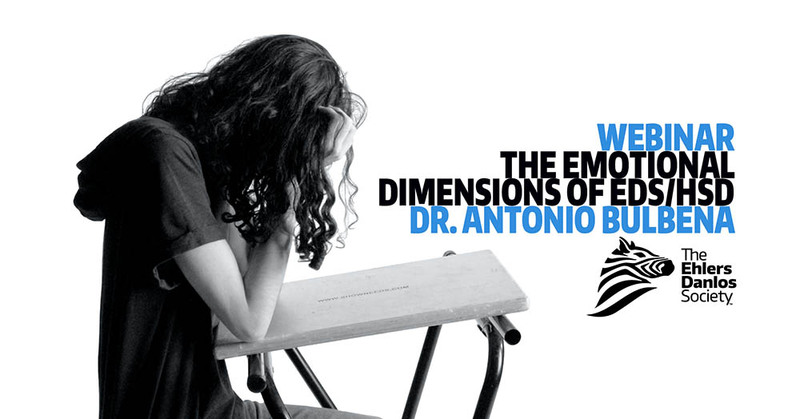 On top of these physical symptoms, there can also be emotional and psychological aspects including anxiety, tension, stress, fear of movement, lack of confidence, and a feeling of isolation. The Integral Movement Method is my own approach to movement therapy. It is Pilates-based and takes a holistic, 360-degree perspective to movement and wellbeing by encompassing the physical, emotional, and psychological aspects of living well and pain-free with hypermobility and EDS. This presentation aims to share how the Integral Movement Method has been beneficial to the EDS population and how it can be incorporated into your own therapy programme. Discover how the Alexander Technique can help you learn to build awareness of your thinking and movement habits. From that awareness, you can learn to make choices that help to improve balance, reduce pain, and help prevent further damage to joints structures. 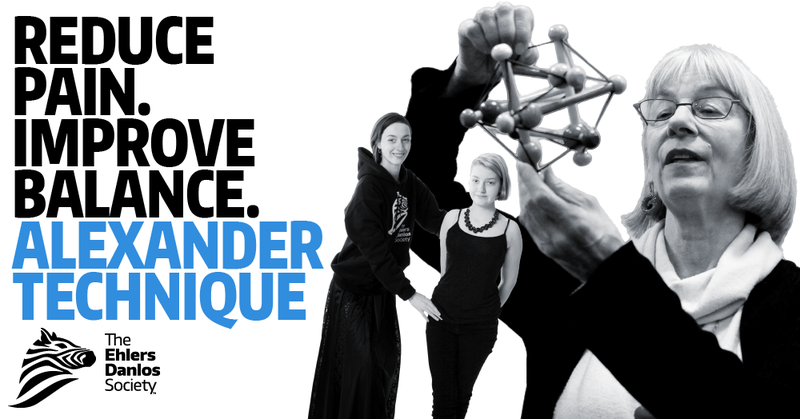 We will talk about how you relate to gravity, space, and your whole body, and we’ll give practical examples and ideas for your everyday life. 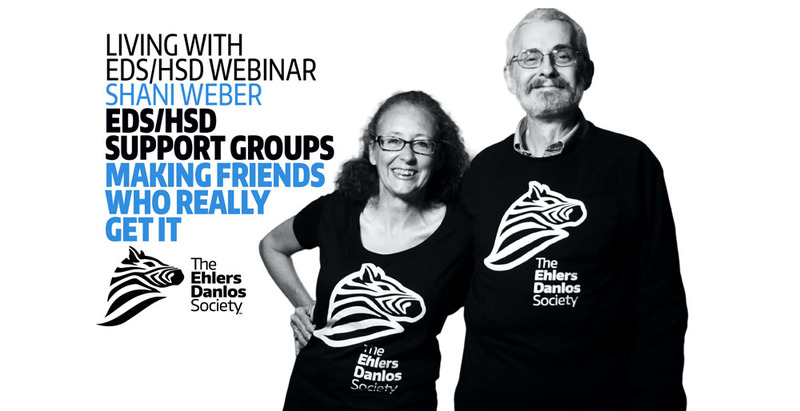 October 28, 2015 — The Ehlers-Danlos National Foundation held a live webinar, “Intelligent Exercise – How You Can Take Control With EDS”, with special guest Kathryn Lister, Associate Clinic Director with Physiotherapy Associates. 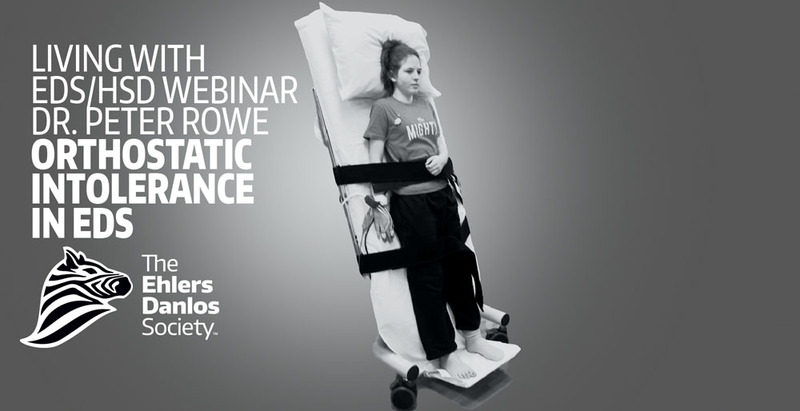 March 5, 2015 — The Ehlers-Danlos National Foundation held a live webinar, “Compression Supports for Pain Relief and Stability”, with special guest Erin Grigsby, Physical Therapist/Bauerfeind Product Specialist. October 9, 2014 — The Ehlers-Danlos National Foundation and Dysautonomia International held a joint live webinar, “Connecting the Dots Between EDS and POTS”, with special guests Dr. Peter C. Rowe, Professor of Pediatrics at Johns Hopkins University School of Medicine and Dr. Satish R. Raj, Associate Professor at Libin Cardiovascular Institute, University of Calgary.